Sculpt Away > Blog > Body Shaping > Weight Loss Support, Why You Need It! Imagine the feeling. 2018. You look great! It’s the year you finally lose the weight. You can do it. Just follow the right plan and get the necessary support. When you decide to lose weight, state your goals. Where are you now? Where do you want to be? Not just your weight. You need to know more. We live in an age of modern medical technology. You benefit most from computer-precise data to track your progress. The Sculpt Away Body Sculpt 3D Body Scan System™ provides laser precise body composition information (fat vs muscle) and measurements (over 500 points) tracking the decrease in fat percentage and number of inches lost on your journey to a slimmer you. Next, select the right diet plan and weight loss program. Seek out proven medical experts to teach you, guide you, coach you and support you. Look for a comprehensive Weight Loss Program, one that includes diet choices, prescription & holistic diet aids, accurate tracking mechanisms, adjunct treatments to accelerate your weight loss, ‘short cuts,’ medical monitoring and on-going support. The body shaping experts at Sculpt Away designed their Weight Loss Program to include every one of these features for your success. You need all available weapons in the war against excess fat. For starters, consider a prescription appetite suppressant. These medications make it easier for you to adapt to your new way of eating and make you feel energized. In addition to RX meds, you lose fat faster if you take lipotropic agents because they rev up your fat burning metabolism and give you extra energy. The body shaping experts at Sculpt Away developed two super fat burning lipotropic supplements: Intense Fat Burner™ for daytime and Slender Sleep™ for nighttime. To lose weight faster, include short cuts. Sculpt Away specializes in short cuts to body shaping. Consider using Sculpt Away’s InfraRed Sauna. A relaxing half hour burns up to 600 calories. Take ten minutes a day on the Vibe-Away™, equivalent to a 30-minute cardio workout. Relax away fat and toxins with a Lipo-Contour™ Body Wrap. Enjoy a Slim Shot™ at the Rejuvenation Bar™ to speed up fat burning. Integrate Press Away™ Therapy into your weight loss plan to assist your body in eliminating the excess fat, fluids and toxins. So many choices. Most of us have at least one problem area that we cannot lose even when we are at our ideal weight. 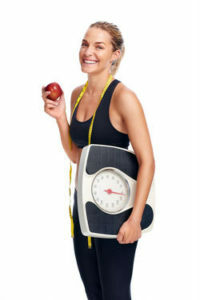 What better motivation to losing weight than knowing that you are eliminating fat from your problem area(s) for good?! That’s right, permanent fat loss. Just one Sculpsure™ 25-minute fat destruction treatment at Sculpt Away permanently eliminates up to 24% of the fat in the treated area. Sculpt Away – fast and easy body sculpting.